Peter Lee is a final-semester doctoral candidate in Voice at Shenandoah University, where, as a Graduate Teaching Fellow, each semester he provides voice lessons to nine undergraduate students majoring in music. In 2008 he was graduated from Peabody Conservatory of Music, where he earned two Master of Music degrees, with concentrations in Voice and in Early Music. In 2011 Johns Hopkins University presented Peter Lee with their prestigious Knowledge for the World Award. 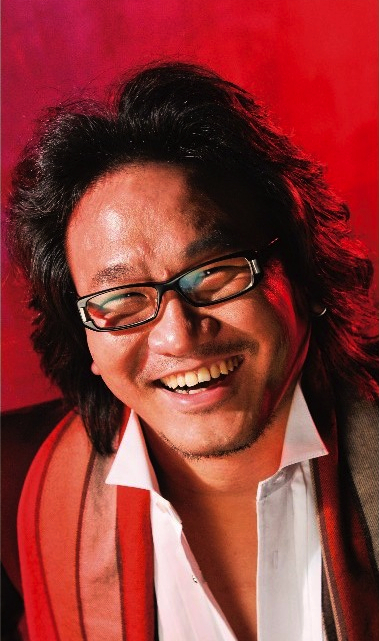 During the summer of 2009 Peter Lee was awarded first place in two categories of Taiwan’s prestigious Golden Melody Award, presented by the government of Taiwan as an equivalent of the American Grammy Award. The Golden Melody committee awarded Peter Lee first place in categories both as best vocalist and also as the best religious album of the year, in reognition of his compact disc recording Stabat Mater (Pergolesi and Vivaldi), in which Mr. Lee sings countertenor solos with Peabody Conservatory soprano faculty member Ah-Hong, accompanied by Peabody Conservatory faculty specialists in Early Music. This recording is the fourth in a series of CD’s which feature Peter Lee both as tenor and counter-tenor. A native of Taiwan, Peter Lee was born in Tainan in 1977. Following study in Taiwan, Mr. Lee went to America in 2000 to study voice at Duquesne University in Pittsburgh and thereafter at Peabody Conservatory of Music in Baltimore, where he earned three degrees as a student of William Sharp and Stanley Cornett. At the National Concert Hall in Taipei, Peter Lee performed as tenor soloist in Bach’s Magnificat and countertenor soloist in Handel’s Psalm 135. At Fairlington United Methodist Church (Washington, DC) and Divinity Lutheran Church and Peabody Conservatory (Baltimore, MD) he has been tenor soloist in Handel’s Messiah and Bach’s Cantata No. 78 and Mozart’s Requiem. He has also been alto soloist with the Peabody Chorus and Orchestra in Handel’s Judas Maccabaeus. With the Concert Artists of Baltimore he has performed Mozart Mass in C Minor at the Golden Center. A member of the choir at Old St. Paul’s Church in Baltimore, he has also been a regular substitute tenor and countertenor in the professional choir of the Washington National Cathedral.